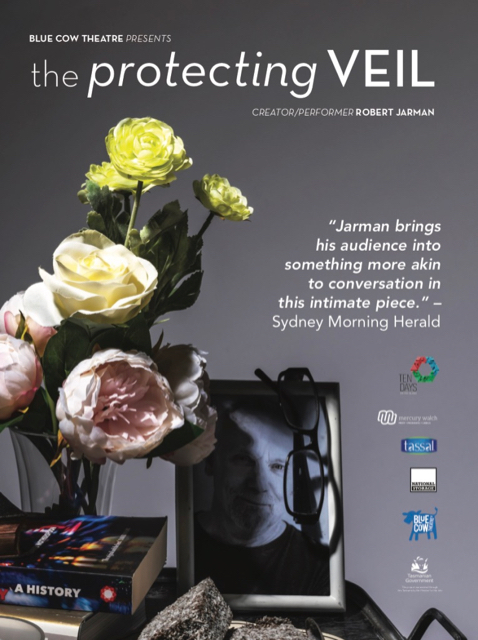 Over the last three decades, Robert Jarman has entertained, provoked and captivated Australian audiences in more than a dozen solo shows. His newest work, The Protecting Veil, is an absorbing reflection on the power and place of ritual in contemporary life, and how we mark the days of our years. Drawing on the rich ceremony and texts of Catholic and Anglican traditions, and threaded with gay sensibility and intriguing Renaissance Art History, Robert considers how rituals help people to make sense of the big life changes that we all go through, and how we mark the passage of our fragile bodies from birth to death. An intimate experience for a maximum audience of 25, your ticket includes a mid-show sharing of tea and cake: a secular sacrament, a ritual of community.